Former judge of the Supreme Court Justice (retd)Markandey Katju on Wednesday questioned the Supreme Court’s decision to appoint the Lodha Commission to decide punishments to be imposed on people and cricket bodies accused of spot fixing in the IPL controversy. A bench of the Supreme Court led by Justice TS Thakur in January this year had constituted a three-member committee headed by former Chief Justice of India RM Lodha and comprising former SC judges Ashok Bhan and RV Raveendran -- to decide on the quantum of punishment to be meted out to Gurunath Meiyappan, Raj Kundra and their franchises Chennai Super Kings and Rajasthan Royals respectively. The commission was directed to hear all parties likely to be affected by their decision before taking a final view on the punishment. It had emphasised that the Commission’s order would be final and binding upon the BCCI and all parties concerned. However, the SC added that the parties could exercise their right to appeal against the same. “The power to impose punishment is with the court. Can the court outsource this judicial power to another body, e.g. a commission appointed by it? If this is legally permissible, then why cannot every judicial function be outsourced? I have grave doubts whether such outsourcing is valid,” said Katju in various online forums including his personal blog. 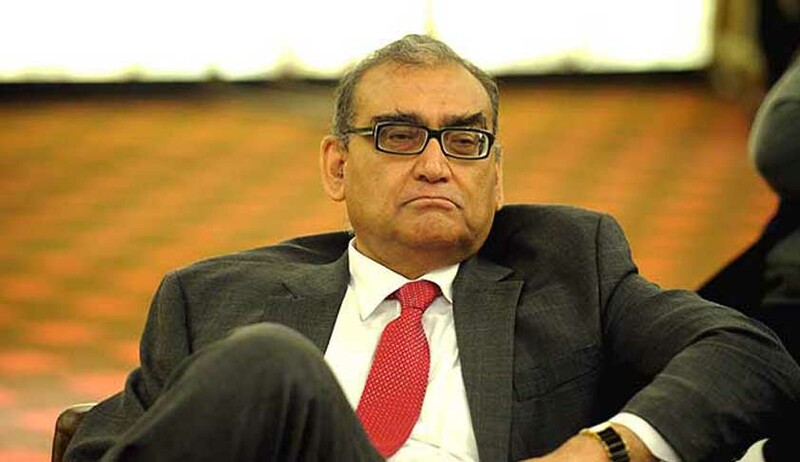 Katju’s comments came after the Supreme Court-appointed Lodha panel suspended IPL franchises Chennai Super Kings and Rajasthan Royals for two years on Tuesday after their officials were found guilty of illegally betting on games. The three-member committee also slapped a life ban on former CSK official Gurunath Meiyappan, who is the son-in-law of International Cricket Council (ICC) chairman N Srinivasan, and Rajasthan Royals co-owner Raj Kundra from any involvement with the Indian cricket board, BCCI). Former Law Minister of India Shanti Bhushan said Katju was mistaken about the issue. “Just because someone is a Supreme Court judge doesn’t mean he has all the knowledge of the law,” Hindustan Times quoted him as saying. He further added that “the SC has full authority to delegate power to other committees as long as it can be challenged in a court of law afterwards”. Meanwhile, eminent jurist Fall Nariman responding to Justice Katju's e-mail containing his comments on the legality of the Lodha Committee, has said that he agreed with Justice Katju's opinion.
" Art 226 which is a constitutional provision gives enormous powers to the higher courts to devise new reliefs to do justice without any restrictions. They can innovate new procedures and also new bodies and vest any function on them so long as they do not divest themselves of their own powers to judicially review their acts. These higher courts are expected to exercise these enormous powers wisely and in the interest of justice. Outsourcing some judicial powers is not unknown to law.Examining a witness on oath is a judicial function but it is frequently outsourced to save the valuable time of the courts.Sometimes the courts appoint commissioners not only to to receive documentary and oral evidence but also to hear arguments and record findings which of course can be reviewed by the courts.Even a dispute before a court is often referred by the courts to an arbitrator for decision with the consent of the parties. Even Justice Katju whom I hold in enormous respect has done this wisely many times.Justice Katju is not only a highly intelligent and well read Judge who used to write pithy judgments without one superfluous word and was highly respected as a rare crusader for judicial integrity.His only shortcoming is that he is too highly strung as most Kashmiris are. I also appreciate his various innovative initiatives in the interest of the society in general and communal harmony in the country in particular. " 2. As regards the second, third and fourth sentences in the email, it may be noted that these are outsourcing some procedural powers, and such orders do not create any right or liability, and certainly do not include the power to impose punishment. Suppose the question in a case is whether a house is in a dilapidated condition. Now the court can of course take evidence on oath on this issue, but the evidence may be conflicting. So the court often appoints an advocate who has a good reputation to go to the spot, make an enquiry, and submit a report to the court. But the advocate commissioner cannot be given the power to order demolition of the house, as that can only be done by the court. Similarly, there may be a witness who is too old and/or infirm to come to court to give his deposition. The court may appoint a commissioner to go to his house and record his deposition there. It may be seen that in none of these cases is the court delegating its power to pass an order creating rights and liabilities. Surely Mr. Shanti Bhushan can see the distinction. 3. As regards referring a matter to an arbitrator, this is sometimes done under the Arbitration Act, provided both parties agree. Surely Mr. Kundra and Mr. Meiyappan and the IPL teams did not agree to accept the decision of the Lodha Committee. The proceedings before the Lodha Committee can hardly be called an arbitration. As for my being a ' high strung Kashmiri ', Mr. Shanti Bhushan should remember that it was another Kashmiri, Sir Tej Bahadur Sapru, who was responsible of persuading Mr. Vishwamitra, Mr. Bhushan's father, in 1941 that his young son, Shanti Bhushan must enter the legal profession, rather than join the Civil Services, where he would have retired at the age of 60 years. And by joining the legal profession Mr. Bhushan has risen to great heights, Advocate General of U.P. at the very young age of 40 years, Union Law Minister, and a very eminent and highly respected Senior lawyer of the Supreme Court, who at the age of almost 90 years is still alive and kicking !